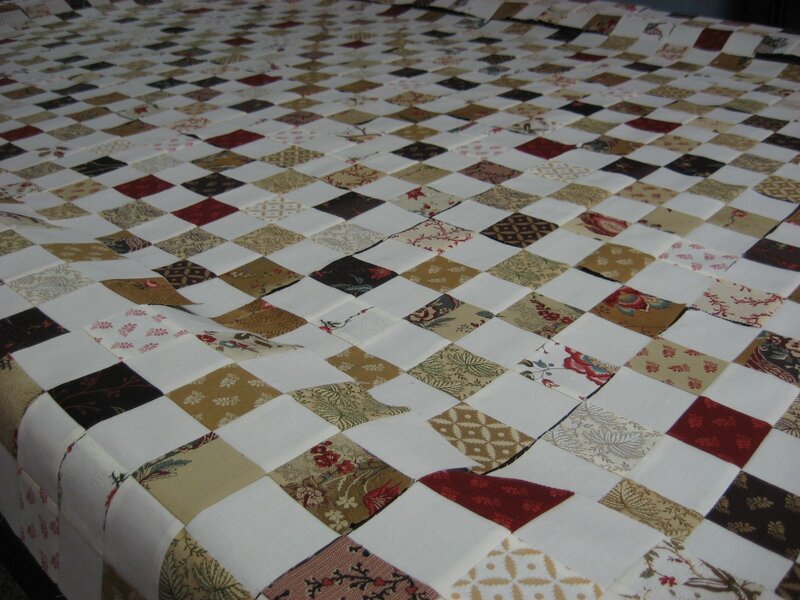 All the 5 by 5 blocks laid out and ready to be sewn together...so pretty! Don't forget to click over to The Girl Creative and sign up for a chance at a $25 shopping spree in my Etsy shop. You could start your Christmas shopping early! I'll be back soon with some pictures of a new quilt I'm working on using Kate Spain's Fandango fabric line which I am totally IN LOVE with! I want a bolt of every one of those prints...just to look at...they are all so gorgeous! Now back to the rat race on this cold rainy day. Hope you are enjoying a busy fall day too! I love the color combination - it's looking pretty good! I take it you will quilt it on the long arm?